Jay Adrian Nelson of Genesee died September 3, 2018 at his home. He was 84. Jay Adrian Nelson was born in Lewiston, Idaho on March 28, 1934,to Adrian and Ida Nelson. His maternal and paternal grandparents both homesteaded in north Idaho and Jay lived most of his life on the family farm east of Genesee, Idaho. He was a long-time farmer, Latah County Commissioner and South Latah County Highway commissioner. Jay graduated from Genesee High School in 1952 and attended Boise Junior College for one year before joining the Army. 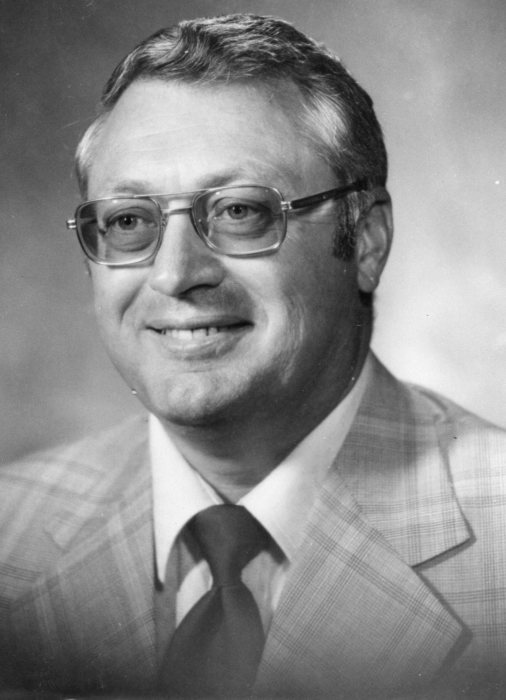 Upon conclusion of his service in the Corps of Engineers, he attended the University of Idaho before joining his father Adrian on the family farm. On a spring day in March of 1963, Jay met Charlotte Sampson in Moscow, Idaho. Being a farmer, spring work needed to be completed before a whirlwind courtship could commence. They were married after harvest on September 14, 1963 and were married for fifty-five years. Jay also was on the Association of Idaho State Highway Commissions (1994 to 96) and served on the North Central Idaho Economic Development Council(1980 to 1986). He served on the Genesee Union Warehouse Board (1984 to 1990) and the Idaho State Job Training Council (1984- 86) and was a member of Masons, Shriners, the American Legion and a 4H Leader. Jay and Charlotte loved spending time at their cabin on Sunup Bay on Lake Coeur d'Alene where he enjoyed fishing and playing with his children and grandchildren. They also enjoyed their yearly trip to Hawaii with close friends. Jay is survived by his wife Charlotte at the family home in Genesee, daughter Susan Lynn, and sons David (Nancy) and Dan (Annie). He has five grandchildren (Amanda, Brandan, Kate, Nick and Sam). He is also survived by his sister Patricia Peterson and brother Kay Nelson. A memorial service will be held at 11:00 AM on Saturday, September 8, 2018 at the Genesee Community Church. A luncheon and time of fellowship will be at the Genesee Senior Center following. A private burial will be at the Genesee City Cemetery prior to the memorial service. Memorial donations can be made to the Genesee Education Foundation (330 West Ash Street, Genesee ID, 83832), the Shriners Hospitals for Children (911 5th Ave., Spokane WA 99204) or the memorial fund at the Genesee Community Church (118 E Ash St, Genesee, ID 83832).